Casinos around the world are full of all kinds of characters, from the casual gambler to the guy sitting at the slots all day with his bucket full of coins. From cautious low risk players to those betting big in the hope of a huge payout, there are distinct personality types that are drawn to the wonderful world of slots. See if you can work out which of these personality types fits you best! These are the players who gamble for a specific duration or have a certain goal in mind, and keep spinning the reels until they reach it. Zen Masters are patient players who have worked out ahead of time what limits they will cash out at, or walk away from if they drop too low. They never falter from their path, remaining steadfast on their course with a dogmatic zeal even in the heat of the moment. The opposite of the Zen Masters, these players rely on pure instinct, sensing a big win after every spin. They play for the thrill of the chase and the sheer fun of spinning the reels. While they might try and set a certain number of spins before they quit for the day, they’re unlikely to stick to it, only stopping when they lose their adrenaline. Instead of playing for a specific goal or thrill, these people find playing at the best slot sites a form of relaxation away from work and life stress. They like the distractions of the 3D graphics and euphoric soundtracks, spinning the reels with a satisfied smile as they enjoy their time alone. If a hobbyist manages to win, it’s a bonus! Similar to those who play as a hobby, but instead of using it as a form of relaxation, this player is using it to be alone from the world. Rather than play online bingo or poker where there are chat windows, this type of player wants to escape and immerse themselves somewhere far removed from rowdy folk. Playing the slot allows you to be a bit of an introvert and avoid any social interaction for a while, and if you happen to win, you can spend it on yourself too. The professionals have deep pockets and a lot of time to dedicate to their cause, which is to turn a profit on slots every day. They are the equivalent of the characters in brick-and-mortar casinos that spin so long they receive complimentary drinks. Pros become fixed in the zone, choosing games that have a lot of bonus features and free spins to boost their chances of striking gold. Those who believe in luck may find themselves in this category. Casinos are full of superstitious behaviour called forth to cast good luck on a wager, from betting on specific colours in roulette to kissing the dice in a game of craps. Slot players also have their superstitions, only playing on certain games, or shifting games if they get bad vibes from the reels. If you have a lucky penny you always carry when you play, this might be your personality type. Similar to the superstitious crowd, these players will move from one game to the next, deeming them too "hot" or too "cold", until they find a machine that is just right for them (seems Goldilocks and the Wild Bears would be a match). Despite rigorous testing of the Random Number Generators, these players will believe some machines are simply not a good fit for them, or not ready to pay out, and will only settle down once they have found a game to their liking. In brick-and-mortar casinos, these were the players who lurked around the slots, waiting patiently for someone to load up a machine and then swoop in just before it paid out to claim the winnings. This is trickier to do online, but with progressive jackpot slots, there are those who watch the various sizes of jackpot and only begin to play once it has reached a certain level, convinced that it will trigger for them. There is a certain logic to this, as statisticians can look at how often a progressive pays out and work out a rough average to calculate when is best to bet. However, as many of these bonus jackpot games are triggered randomly, it may take a lot of watching. Similar to those who Can’t Stop The Feeling, this is the type of player who often tells themselves they are only going to play one more time or have one more spin, only to continue betting. This can often be the result of a long losing streak. Players in this category may wish to emulate the Zen Master with strict rules around when to stop playing. 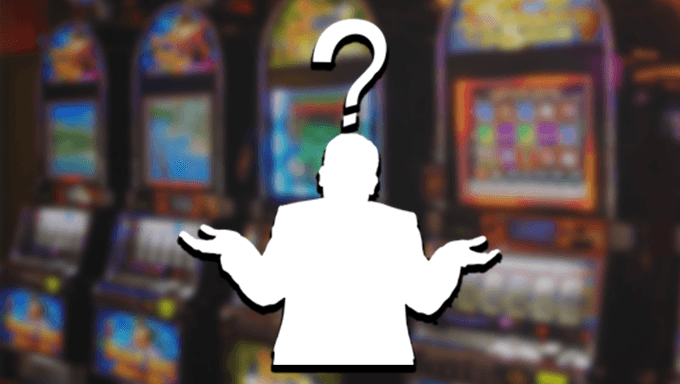 Setting a timer or restricting the amount that can be played in one session is also good to include as a part of your slots strategy to escape this stereotype.